The first time you do an experiment you get the full initial science value (ISV) multiplied by the efficiency of the method of returning it. Below I’ve calculated the returns you’d get performing some of the standard science experiments ten times assuming the ISV is 1, and at the bottom the total amount of science you would have at the end of all ten experiments. The efficiency of transmission is given under the name of the experiment. 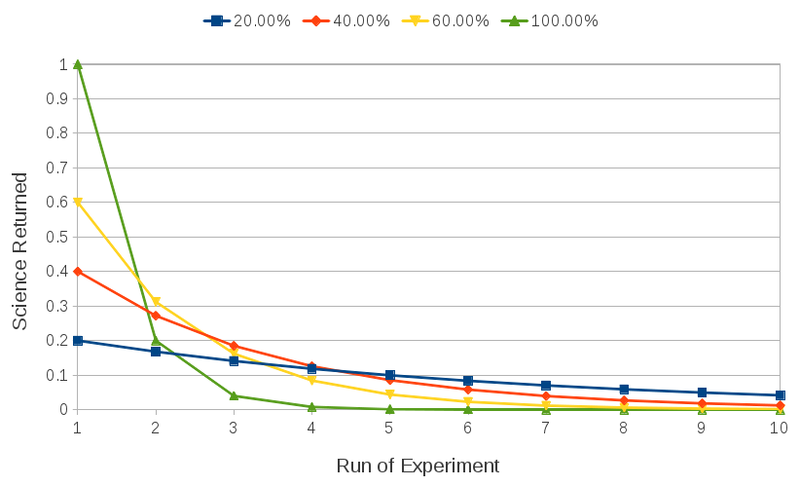 Provided you have the power on your craft, and the patience necessary to do the ten or more runs of the experiment, it seems like returning samples manually offers no real bonus.